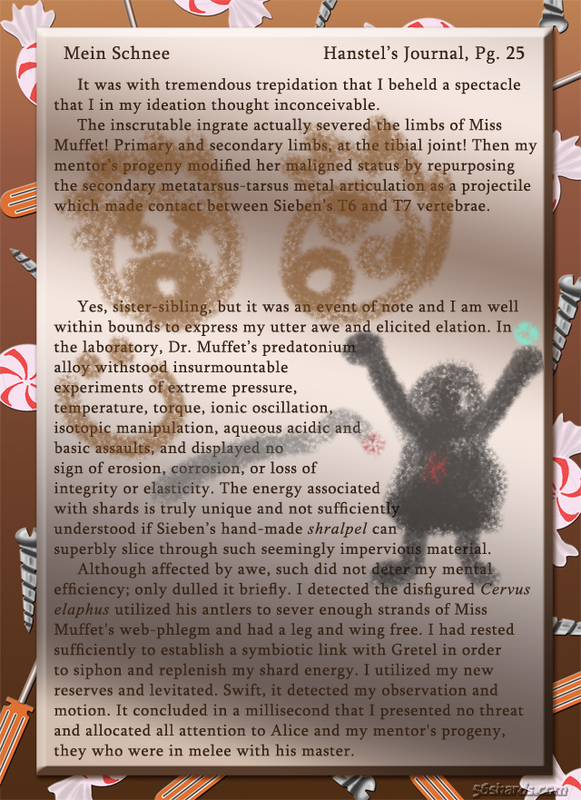 Someone is going to be busy within Doctor Muffet’s lab when this adventure is over. Can anyone say Shard made weapons upgrades in the future for the team ? I mean that would make things a bit interesting and challenging for Hansel and could help him bond with the rest of the team in his own way.